Over a third (35%) of the electorate directly support the governments decision to legalise the X case, allowing abortion where the mother’s life is at risk, including by suicide – when provided with a selection of possible alternatives. A further 29% would go further and support legalising abortion in any case where a woman requests it. As such, at least 64% in total of all voters would at least support the legalisation of the X case, with some preferring that it went further. This leaves just over a quarter of the electorate (26%) preferring to see a constitutional amendment to limit the X case, by excluding the threat of suicide to the mothers life as a reason for abortion. While 8% do not want to see any legalisation of abortion law. 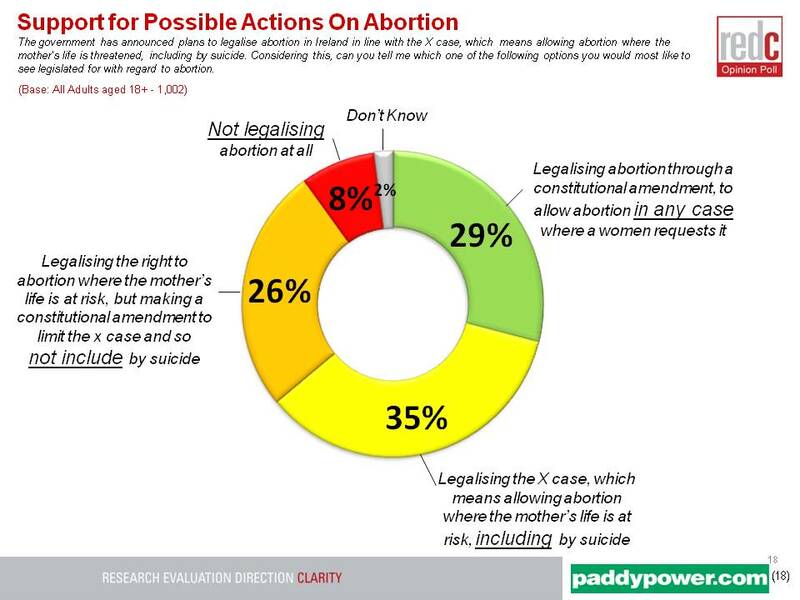 The poll therefore shows the majority of voters are in support of the governments position, but does suggest that for 1 in 4 voters the inclusion of suicide is perhaps a step too far, while a further 8% are against legalising abortion at all. Younger age groups have greater support for legalising abortion in any case, while older age groups have higher than average support for limiting the X case, by excluding the threat of suicide to the mothers life. Over half of those that expressed an opinion (57%) suggest that they feel the Belfast City Council was wrong to restrict the flying of the Union flag at Belfast City Hall. In total, just a third of Irish voters (35%) thought the council were right to restrict the flying of the Union flag, while 47% thought they were wrong to restrict it and 18% did not express a view. Little variance is evident across demographics in terms of attitudes, however party support shows Sinn Féin supporters in highest agreement that it was the right decision but still at only 48%. Today’s poll shows that the longer term trend for Fine Gael is downward, with a steady decline since the general election. (Support 29% a drop of 7% since election 2011). However, there have been several ups and downs during that time, and this result is in fact a small increase since another poll conducted by RED C for the Sunday business Post last month, which could be looked at quite positively in light of the tough Budget that has come in-between. Labour appear to have also, for the moment, halted their decline, recording a steadyscore of 13%. However they have also recorded a overall similar decline as Fine Gael (6%) since election day, and this does represent a drop of 1% vs a similar poll conducted in November. Fianna Fáil are making positive strides with increases evident, now standing at 21% support, this is further emphasised as we note the gap declining between them and Fine Gael – now a mere 8% compared to the 2011 election day gap of 19%. Sinn Féin have seen positive increase in support since the election, they made big gains based on media coverage of the Presidential election and campaigning against the European Treaty, more recently this result is similar to that seen before the Christmas break, but down 1%. A decline in performance for most leaders are noted in terms of party leadership compared to March 2012. Only Micheal Martin has managed to both increase top box satisfaction, and decrease dissatisfaction levels. 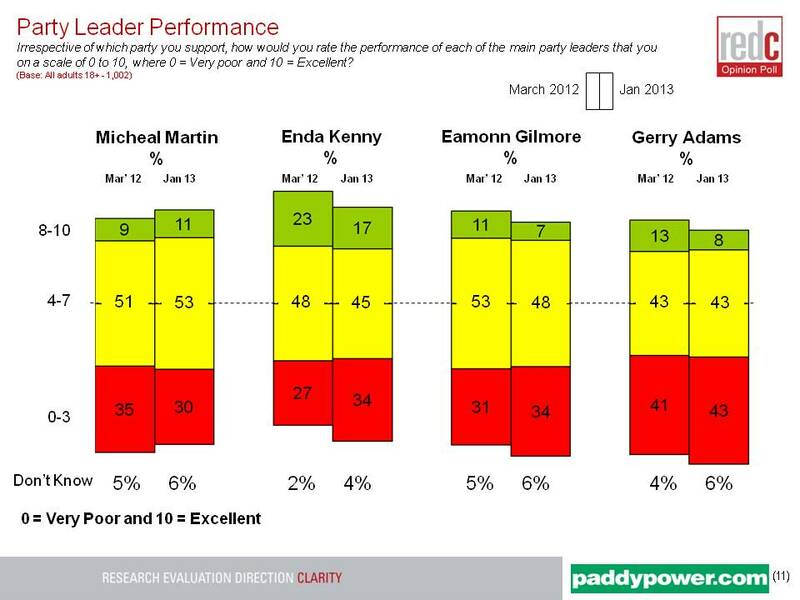 Enda Kenny, although declining in satisfaction, remains the strongest performer in terms of top box satisfaction. 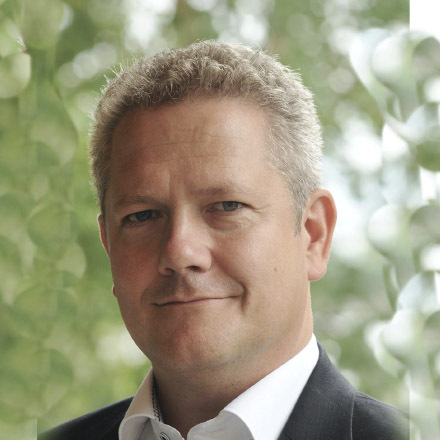 However, he no longer strides ahead of competition. 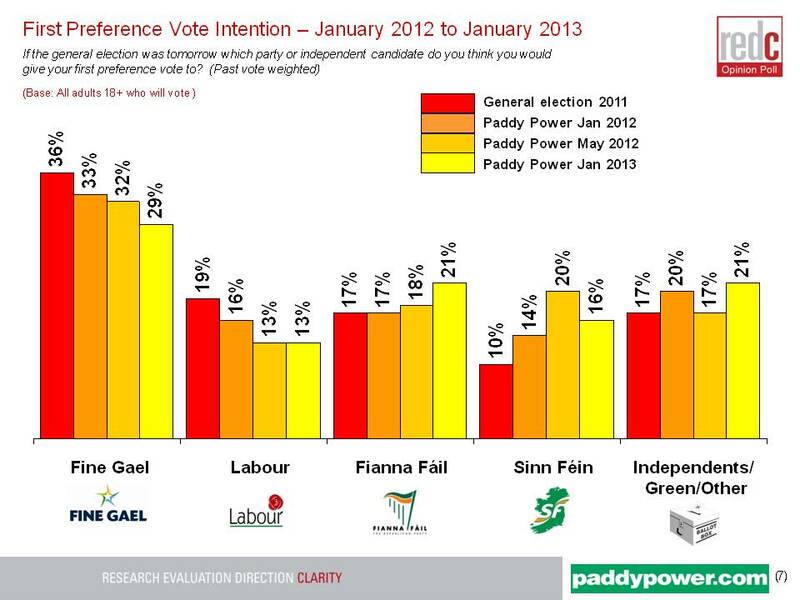 Perhaps worryingly for the Taoiseach, is that his dissatisfaction levels (0-3 scores) have increased from 27% to 34%.